Since he graduated from the Faculty of Fine Arts at the University of Damascus, Amjad has employed a variety of mediums and techniques to develop a unique style trying to find himself in his Artworks. He continued painting in his studio focusing on the abstract and expressionism. He is dedicated to practicing arts and discovering new techniques. From 2002-2007, he worked in animation for Syrian Television and was the Art director in the independent daily newspaper Baladna and some magazines such as Sabaya. He also participated in numerous art competitions, including the youth art competition at Samer Quzah Gallery, in 2008 and 2009. From 2009 to 2011 he was a teacher assistant in the Faculty of Fine Arts in Damascus University after he obtained a full scholarship from Damascus University. 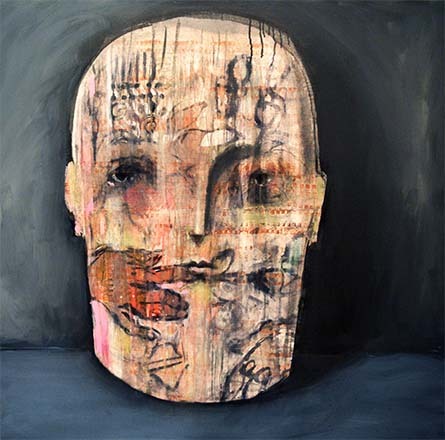 In 2012, he participated in numerous exhibitions at the Espaces Ephemeres Art Space in Beirut, Lebanon, the Beirut Art Fair, Shattered Beauty at Gallery 8, in London, and Syrian Anonymous group Exhibition, in Nottingham. On the 27 of June he participated in “Withoutword” exhibition in Gallery P21 in London. In 2013 he participated in the CI Contemporary, Istanbul.